Our first Sanctuary of the year was last Friday! 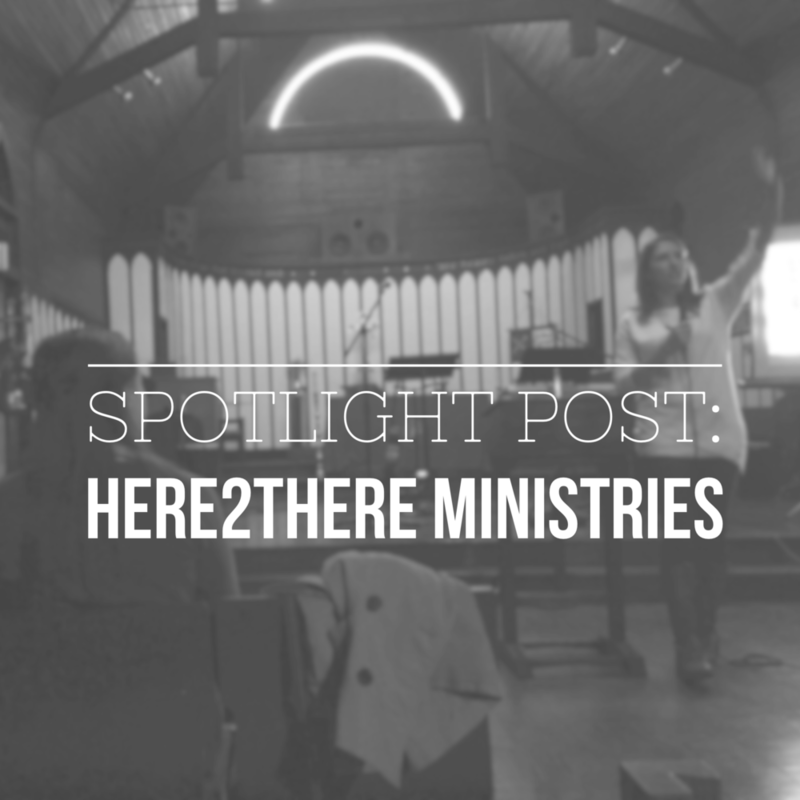 If you weren't able to make it, here's the recap of our spotlight organization, Here2There Ministries, and their founder, Stefanie Nicholson. Stefanie started with a story. It started in Asia with a monk, some m&ms, and a translator named Lee. She was there doing something called a True Love Camp—a topic she’d touch on later—and had felt the Spirit guiding her to talk to this monk. She asked him all about his life as a Buddhist and share what it meant for her to be a Christian, while Lee translated. The encounter ended shortly after the two exchanged gifts to remember each other by, beads for Stefanie and m&ms for the Monk (they were all she had after all). But the next morning Lee met Stephanie as a different man. He had been changed by her story, had heard and accepted the gospel, through translating for the monk! And so, Stefanie finished her time in Asia and returned home with Lee and the monk on her mind. She heard the Lord calling her back, but with so many left untouched by the gospel she knew she couldn’t go alone. “Jerusalem is our here and my desire is to get the church,” said Stefanie as she motioned outside the group gathered at Sanctuary, “over there.” This is the heart behind Stefanie’s organization, Here2There Ministries. On Friday night she shared with us the many ways that they help churches and individuals live on mission by connecting those with vision to those with resources. Here2There creates mission plans for churches to train and equip long-term and short-term missionaries. After Stefanie’s heart, they encourage short-term “journeys”, emphasis on the journey. For her, it all began with a yes. The yes to go, and then eventually, the yes to keep going. Here2There also has programs like the Martha Project which develops ministry pre-Sending phase, and the afore mentioned True Love camps that are all about building up young men and women who love each other based on the servant-values of Christ. And lastly, dear to the mission of Closer to Love, they host Kaleid (pronounced Collide). A play off kaleidoscopes with their mosaic of colors and visions and collide, to crash together. At Kaleid, the body of Jacksonville is brought together to share vision for outreach both locally and internationally, as well as resources of time, money, and talent to bring about the shared visions. Stefanie left us all with a sense that the church was meant to look differently. Was meant to care better, to seek better, to go better. And it’s starting to change bit by bit, but we have to say “yes” together. If you'd like to learn more about Here2There Ministries, be sure and attend Kaleid on February 2nd at University Church in Jacksonville. You can also like them on Facebook and view their website.